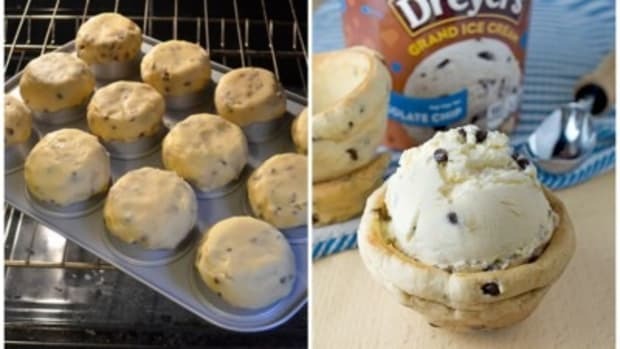 Using your favorite chocolate chip cookie recipe, form the bowl on the bottom of a muffin tin and bake. 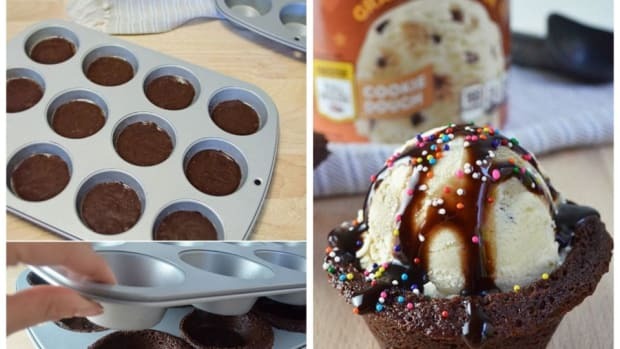 Then just let cool and fill the bowls with Chocolate Chip ice cream and serve your family&apos;s new favorite sundae! 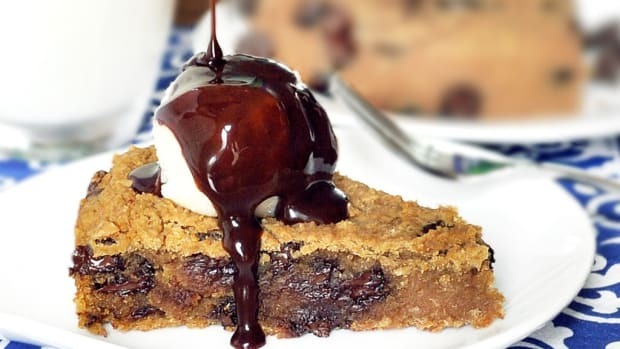 Whip up some cookie dough using your favorite chocolate chip cookie recipe. Split the batch of dough into two equal portions. 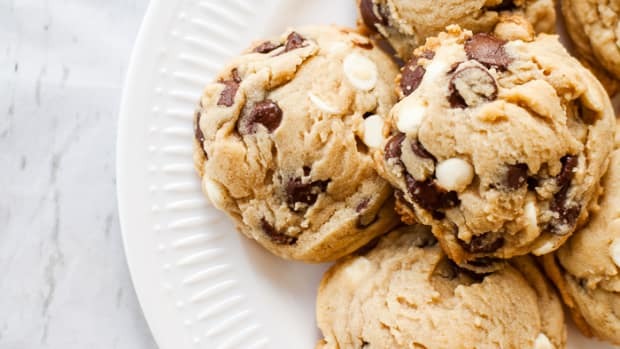 Bake according to your favorite cookie recipe instructions and let cookie bowls cool. 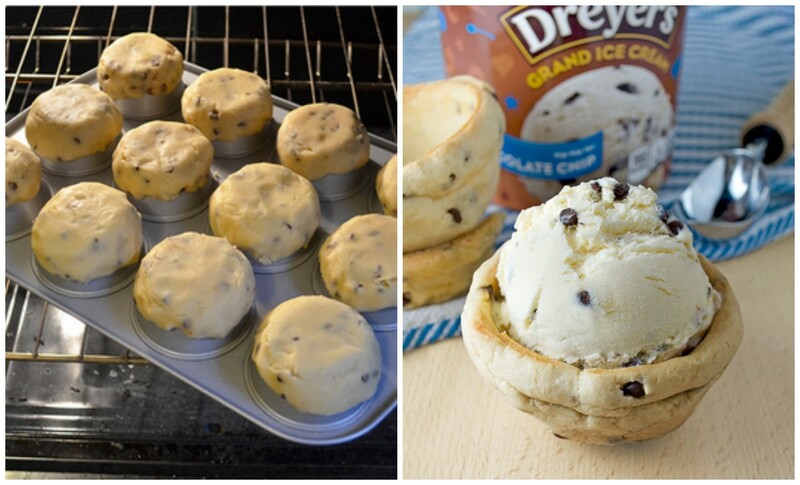 You can do this with just about any cookie dough you&apos;d like! 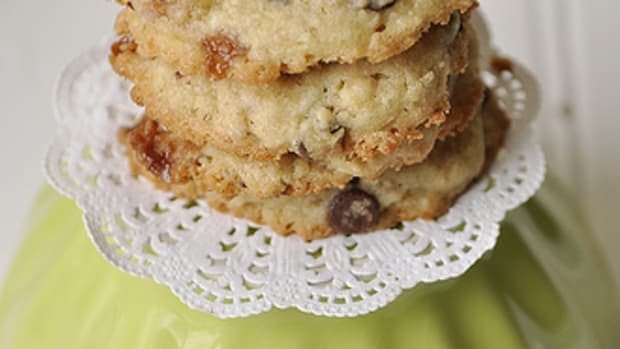 I avoid using cookie recipes that spread flat on the pan when baked as cookies. 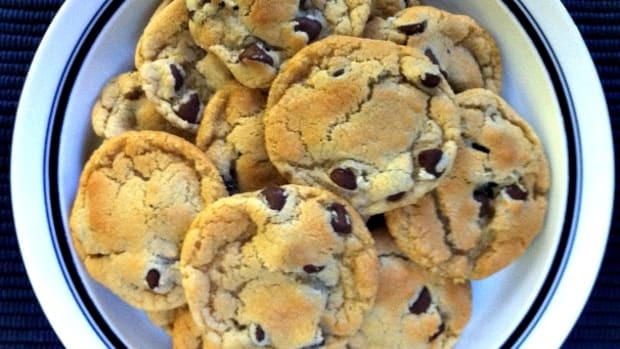 They bake too thin for the cookie bowl. 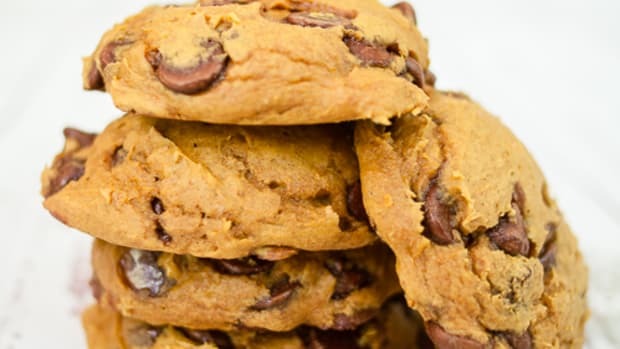 I like to use a thicker cookie recipe. 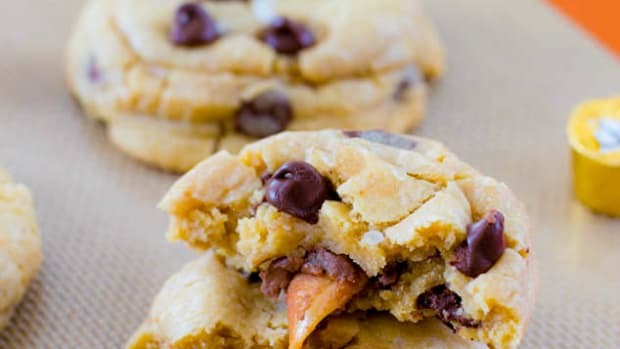 More Tasty Treats on TodaysMama.com!